Plot: This story made me cry right from the beginning. Charlotte is a girl who's always waiting for the next tumor to appear somewhere. She's constantly at the doctor's office and under a knife. But one thing that basically defines her is her love for music. 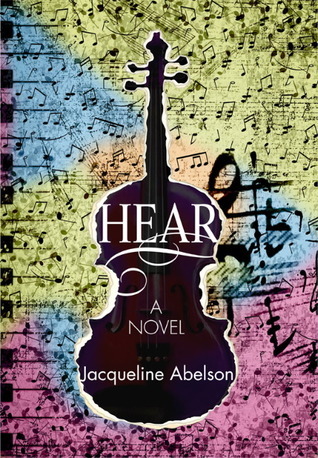 She plays the violin, works as a music critique, and hopes to go to Julliard. But then she finds out one day that the newest tumors have grown in her brain and the only two options are between her hearing and her life. This story was amazing in the way that it was realistic and touching without being overly dramatic or unrealistic. Also it has a little bit of romance but not that much which makes it unique. The ending isn't how her and the one she likes end up. It is solely based on her and her struggles. Character(s): Charlotte - I think she is a very realistic character. She's whiny without being overly annoying. In the end her family tells her she is being selfish and I was actually surprised. I think she acted more mature with this news than I could have. But even through all that she apologized and had the best attitude about things. I also love her relationship with her best friend, Lexi. They get mad at each other but it's not enough to split them apart. They don't stay mad for more than a day and I love it. No unnecessary drama. Cover: I love the cover of the book! But that's also because I love music. I'm a piano player so anything to do with music draws me in. I thought the title and cover were simple in a very pretty way. Closing Thoughts: I loved this book! I read it in one whole day almost nonstop. It was the perfect way to kick-start my summer reading. I have a special connection with books that have to do with music and that could be a reason why this touched me. I loved the trials she went through and how she responded. I liked the small bit of relationship she grew with boys but it didn't really amount to much which was a nice change. I would most definitely read this book if I was any of you. It's a nice, quick read.